A partnership between AHSNs and Creative England has facilitated the unlocking of innovation throughout the regions by supporting the development of creative solutions to some of the many challenges facing the healthcare sector in the 21st century. Since 2014, a number of AHSNs, including the West of England AHSN, have developed a highly effective partnership with Creative England – combining Creative England’s expertise in managing and facilitating creative sector-focused investment funds with the AHSNs’ mission to improve healthcare through localised public and private sector collaboration and innovation. From this partnership came the establishment of the Interactive Healthcare Fund in 2016. To date the fund has invested £1.7 million into 18 creative and digital companies, leveraging significant private investment to support the development of an array of highly innovative healthcare products and services. Fundamental to each investment is the potential of the product to significantly improve the quality of life for the patient or user and increase efficiency in health services. A broad range of creative businesses were supported through the Interactive Healthcare Fund in 2016-17, with products ranging from wearable assistants that support the management of respiratory diseases to platforms that encourage better medication adherence. 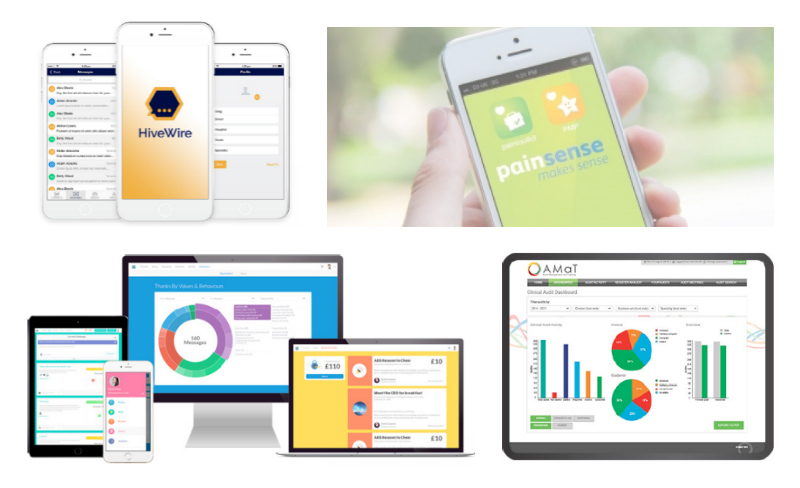 Healthcare innovations supported by the West of England AHSN through the Interactive Healthcare Fund include HiveWire (a secure, closed messaging app for use by hospital staff), ThanksBox (a suite of interconnected digital tools to improve employee engagement), and CuraPal (a wearable system for personalised fall detection and prevention in elders and vulnerable people). For more information on all the innovations supported by the Interactive Healthcare Fund, download the full portfolio here.